Clomid works by stimulating the body to produce more of the hormones that are responsible for ovulation thereby resulting in the release of mature eggs. Clomid fools the body into thinking that its Estrogen levels are low, and thus it stimulates a release of that hormone. This supports the growth and eventual release of mature eggs. 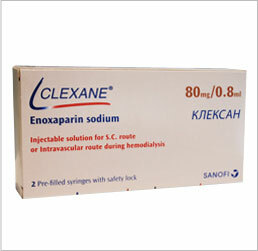 Clomid is one of many high quality infertility medications offered by IVFPrescriptions. Working in combination with infertility drugs on the market, Clomid has a successful track record resulting in pregnancy. Women whose ovaries do not produce eggs should not use Clomid unless expressly directed to do so by their physician. 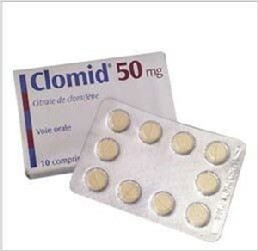 Clomid is one of many IVF meds that are indicated for use in treating infertility, often in combination with other IVF drugs. Because we offer only the top branded IVF medications we are able to help you save on the Clomid price, over most others in the same market. Clomid, used as part of the overall IVF treatment, and in conjunction with other ivf drugs, can have one or more side effects. Most women experience little to no side effects, but may suffer from an upset stomach, pelvic bloating, hot flashes, headaches, breast tenderness, and light-headedness. Other, more severe reactions include allergic reactions that could include shortness of breath, swelling of face, feet, hands, and tongue, diarrhea that is bloody, confusion, seizures, ringing in the ears, discoloured skin, urinating less or not at all, numbness, easy bruising, and a severe rash. Overstimulation of the ovaries could occur, promoting symptoms that include: severe swelling in the pelvic region, vomiting, lowered urine output, pain or swelling in the legs, chest pain, increased heartbeat, and rapid weight gain. * You can place your ORDER HERE, follow the instructions in the shopping cart, place your order and an encrypted and secure payment form will be emailed to you immediately. * Once you complete the payment form and email or fax it back with your prescription, we will send you a tracking number for www.usps.com. 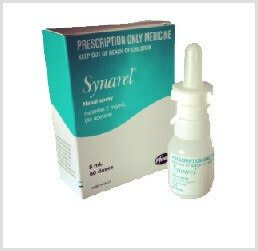 * You will also be assigned a personal representative who will verify your purchase of the infertility drug, and will be available to answer any questions you may have about your order, or the medication. Your order will be delivered within six business days or less. You may choose to email your prescription and we will take care of the rest. Make sure to include your name and contact information.